Karitk Jivani’s Interview : The final Result was announced on Friday, in which 18 candidates from Gujarat were shining. In UPSC, Kartik Nagajibhai Jivani of Surat Gujarat succeeded in Getting First Rank in gujarat and 94th rank in all over india. Kartik, who gave credit to the family and God, said that patience is very important in the UPSC exam. Jivani Said that “This was my second attempt in which I have had this success”. In IIT Mumbai While doing engineering, in the fourth year of Mechanical Engineering in 2016, I got an idea of ​​UPSC and started preparations since then. I chose to do the smart work instead of hardwork and cleared upsc by doing preparation from home. When the result was announced yesterday, there was a lot of Pressure and excitement, because in 2017 i was failed in first attempt. It has been a very successful result after the hard work of last 3 years and it also has the feeling of happiness and satisfaction that came with the ranking. Kartik says, I am truly happy, satisfied and proud. I got this result after 3 years of hard work after getting guidance different places and books. Kartik, son of Nagajibhai, a native of Ghariyadhar in Bhavnagar district of Saurashtra, was born on 29 September 1994 in Surat. Kartik studied Gujarati medium in Surat from one to eight standard and studied at the English Medium school after 8th. After passing through good marks in 12 science, Karti passed the JEE examination and started a college in the Mechanical field from IIT Mumbai. Kartik said that I was preparing for the full-time UPSC. Often people are choosing hard work and preparing for 15 to 18 hours a day. Against whom I had read doing smart work for about eight hours a day. He also focused a lot on the revision. In interview he said that, whenever i feel like board i turn on my mobile and watch comedy movies to freshen up my mind. 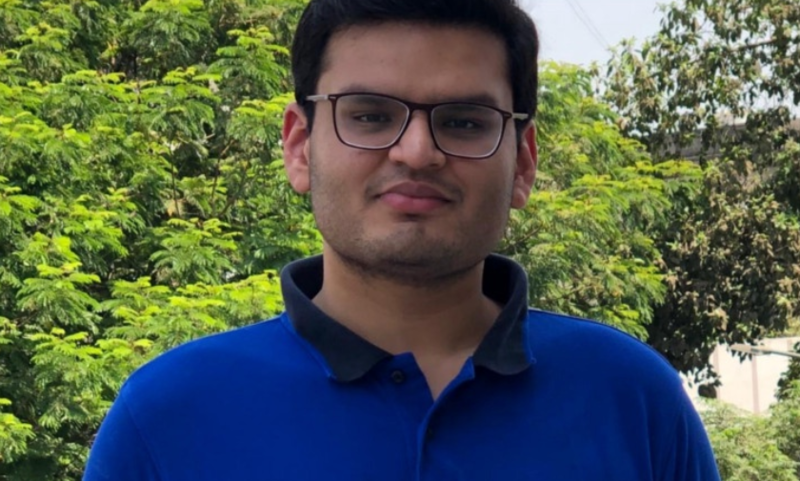 The UPSC examination is such that you can not anticipate the expectations in advance, Kartik said, this time I thought that i could reach 200th rank in india. However, my hard work and nature contributed and i got 94th rank. In the UPSC examinations, 43 candidates of the gujarat state had reached the interview, out of which 18 passed. Kartik said about the interview questions, “I was asked questions about Gujarat, my IIT College and Surat’s Diamond Industries and Statue of Unity etc”. How To Join Indian Army After 10th & 12th In Year 2019 ?